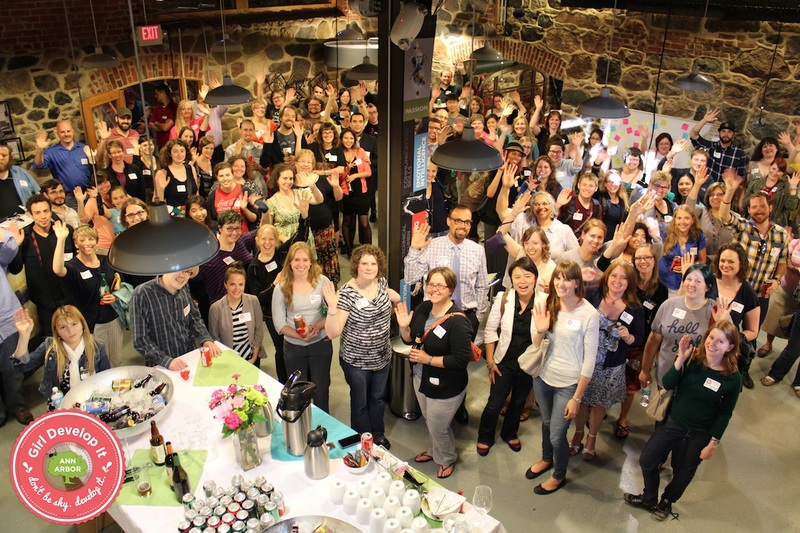 Julie Cameron » Girl Develop It Ann Arbor Launch Party was a hit! Look at that. Just spend a second to take that all in. Those are the women of the Ann Arbor tech community. A segment of the population that we had no idea existed to such an extent until now. Until Girl Develop It pulled them all together for a night of excitement and celebration. Just… wow. Ok… so that may have sounded a bit grandiose of me, but I think everyone in that room felt the same, at least a little bit. So, needless to say at this point, but the Girl Develop It Launch Party that took place Wednesday, June 4th, was a huge success. We had roughly around 120 people throughout the course of the night! WAY more than we ever expected – which, optimistically, was 40-60! HUGE thanks to Pillar for sharing their awesome location and providing a wonderful spread from the Produce Station. Everyone loved it and had nothing but complements!! AND this trend seems to be continuing! 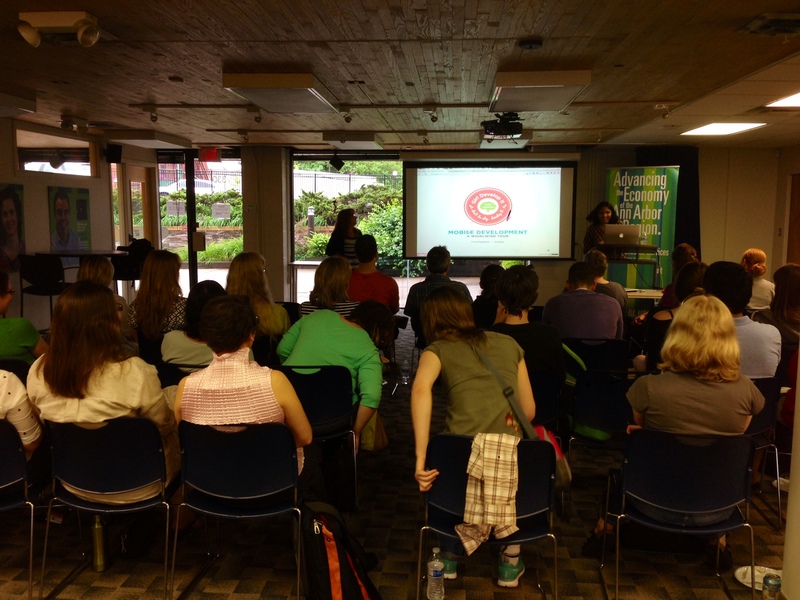 Our first post-launch event at Ann Arbor SPARK, Mobile Development: A Whirlwind Tour, had a great attendance! We’re very excited to see where this group goes over the next few months and in our first year! If you haven’t yet, please join us! Posted June 16, 2014 at 11:22 pm in Girl Develop It, Women In Tech and tagged 2014, Feminism, Girl Develop It, Women In Tech. Comments RSS. Post a comment.